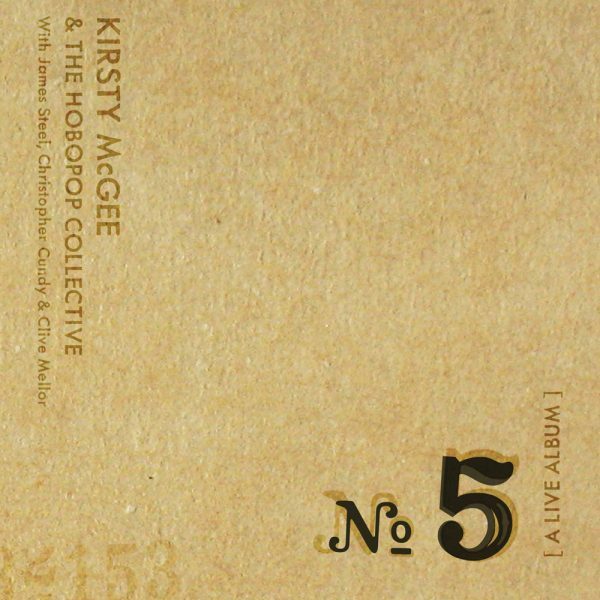 No 5 – A Live Album is the first release from Kirsty McGee’s Hobopop Collective project, featuring long-term collaborator Mat Martin and GoGo Penguin‘s Rob Turner and Nick Blacka. The album also features performances from James Steel (The Brute Chorus, James Brute), Christopher Cundy (Cold Specks, Guillemots, Little Annie, Devon Sproule) and Clive Mellor (Richard Hawley). On October 10th 2009 Kirsty McGee & The Hobopop Collective performed and recorded a one-off show at Contact, Manchester, UK. This album represents the band’s selections from that set and is presented here with no overdubs or repairs, exactly as the songs were performed on the night.